FEMALE TROUBLE: Heaven in Her Arms/Killie Split 3"
In 2008, Japanese screamo pioneers, Heaven in Her Arms and Killie released a split 3". Now the two groups releasing a split together alone is worth an honorable mention, but when the split is actually a cover album, that's when things get even more interesting. On Heaven in Her Arms' side of this CD, we get a song entitled 'Rokugatsu' which is a cover of two songs, 'The Old World is Behind Us' and 'The Jailors Speak of Freedom' by Massachusetts group, Ampere. 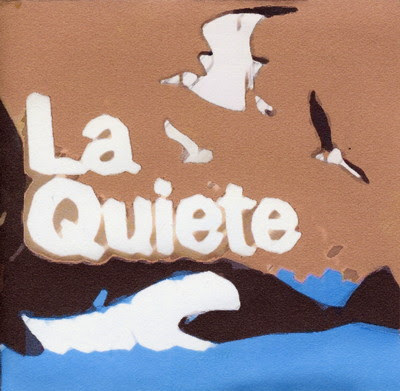 On Killie's side, a song entitled 'Mudai' appears, which is actually a cover of 'Guigno' by Italian group, La Quiete. While Killie's cover is quite faithful to the original, Heaven in Her Arms' trails off into something almost unrecognizable (in a good way); much more ambiance and heavy on spoken word, Heaven in Her Arms certainly puts a unique twist on their cover, although not to discredit Killie's cover, they are both excellent in their own right. 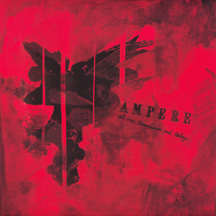 As I'm sure most of you are interested in hearing the original versions of these songs as well, here are the Ampere and La Quiete albums which feature the previously mentioned songs. Most of modern day screamo (the good screamo, at least) still has this very prevalent vibe of punk rock ethics which is obviously seen in the connection and (what I'm sure is) respect for each others music, which is very much shown in this cover album. To have two Japanese groups get together and recognize the works of artists in both the United States and Italy is a truly amazing thing, I believe. All these groups are necessary listening for screamo fans and deserve your attention and support!